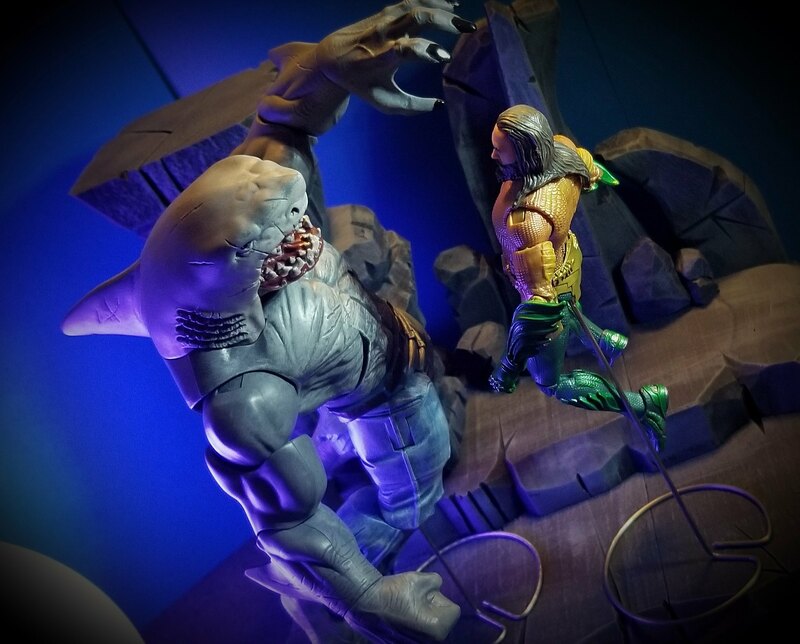 Toyarks Mattel Multiverse Aquaman Movie Gallery! Manta almost looks like transformers repugnus, which just kinda makes him even cooler. Just found these at my local NY Wal Mart (doing renovations, so they may be slow putting out stock). These are my first Mattel DC figures in a while, but I've picked up some Marvel Legend, and find these lacking. With 3 of the four figures having staffs/spears/tridents, I don't understand why Mera is the only one with two open hands. Also, what's with the lack of a double elbow joint? Manta's blades are pretty warped, too. That said, the sculpts are decent, and I'm loving the paint apps.